Golfer’s Elbow also known as Medial Epicondylitis is an overuse injury affecting the tendons on the inside of the elbow. Although overuse of the wrist and fingers from golfing can lead to Golfer’s Elbow, other repetitive motions can also be the culprit such as throwing, chopping, and other hand tools. Pain may be felt in the forearm, hands and wrists may feel stiff and elbow may be stiff. Cold therapy, stretching and an elbow brace specific to golfer’s elbow will help alleviate pain and support the elbow and arm. 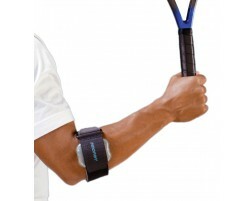 Not sure which golfer's elbow brace to pick? Use our guided tool, Brace Advisor, for recommendations based on your level of activity and injury. 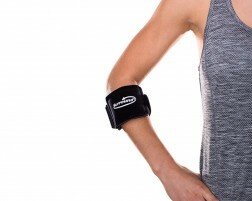 Learn more about how to prevent and treat golfer's elbow.